Lodge Pre-Seasoned Cast-Iron Chef's Skillet, 10-inch Only $14.97! 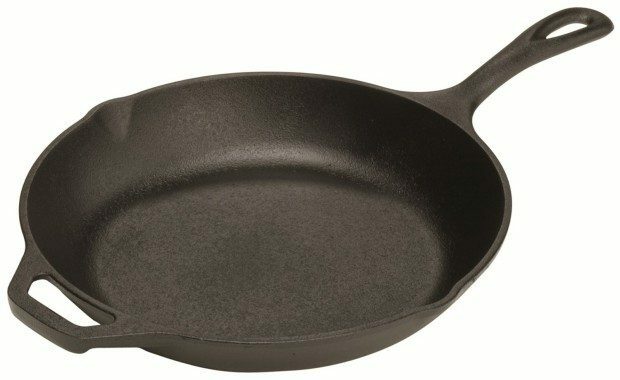 You are here: Home / Great Deals / Amazon Deals / Lodge Pre-Seasoned Cast-Iron Chef’s Skillet, 10-inch Only $14.97! Lodge Pre-Seasoned Cast-Iron Chef’s Skillet, 10-inch Only $14.97! Any time you can get a Lodge cast iron pan on sale, snag it! Head to Amazon and get the Lodge Pre-Seasoned Cast-Iron Chef’s 10 inch Skillet for Only $14.97! (reg. $26.95). Shipping will be FREE with Amazon Prime or an order of $35 or more.